A sophisticated page-turner about a wealthy New York family embroiled in a financial scandal with cataclysmic consequences. Now that he's married to Merrill Darling, daughter of billionaire financier Carter Darling, attorney Paul Ross has grown accustomed to New York society and all of its luxuries: a Park Avenue apartment, weekends in the Hamptons, bespoke suits. When Paul loses his job, Carter offers him the chance to head the legal team at his hedge fund. Thrilled with his good fortune in the midst of the worst financial downturn since the Great Depression, Paul accepts the position. Cristina Alger's glittering debut novel interweaves the narratives of the Darling family, two eager SEC attorneys, and a team of journalists all racing to uncover-or cover up-the truth. 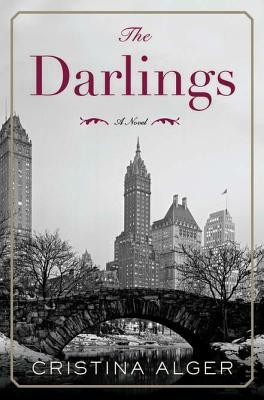 With echoes of a fictional "Too Big to Fail" and the novels of Dominick Dunne, "The Darlings" offers an irresistible glimpse into the highest echelons of New York society-a world seldom seen by outsiders-and a fast-paced thriller of epic proportions. Cristina Alger received her B.A. from Harvard College and her J.D. from NYU Law School. She has worked as an analyst at Goldman, Sachs, & Co. and as an attorney at Wilmer, Cutler, Pickering, Hale, & Dorr. She was born and raised in New York City, where she currently resides. This is her first novel.